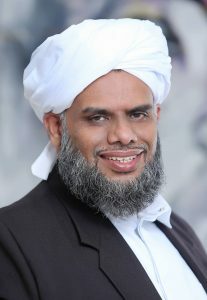 Sayyid Ibraheemul Khaleel Al Bukhari is chairman and founder of Ma’din Academy. He has traveled the world, lectured to thousands, and composed a number of works spanning Islamic thoughts and contemporary issues. He is the guardian of orphans, deaf and dumb, blinds and mentally challenged children. Hundreds of thousands of people from different parts of the world congregate at annual prayer congregation held under his leadership at Swalath Nagar every month especially on the 26th night of Holy month Ramadan. Sayyid Bukhari is also a senior teaching professor in the departments of Thafseer Literature, Hadeeth and Fiqh at Ma’din Kulliyya of Islamic Science.